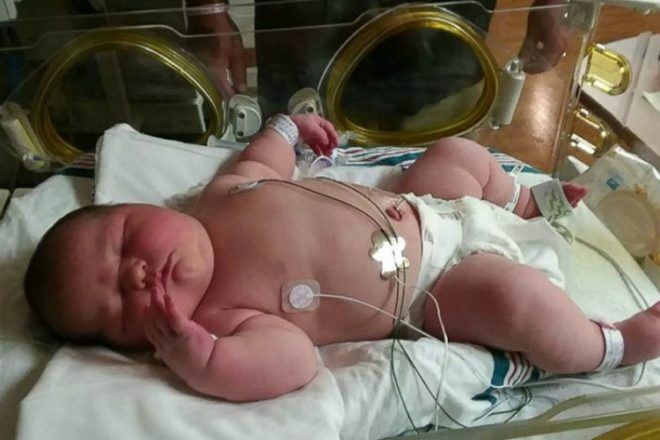 Mum gives birth to 6kg baby girl - "It was like I delivered a toddler!" Can you believe this sweet-faced baby girl is only three weeks old? Neither can we! But Carleigh Corbitt was only born last month! Carleigh may still be a newborn, but she is already a mini celebrity, thanks to her surprising size at birth. Born a week early, Carleigh amazed the entire world when she weighed in at an incredible 6.12 kg. Yes. You read that right – 6.12 kilograms. At birth. With the average newborn weighing around 3.5 kg, Carleigh nearly doubled this. And, at three weeks old, Carleigh is showing no signs of slowing down! 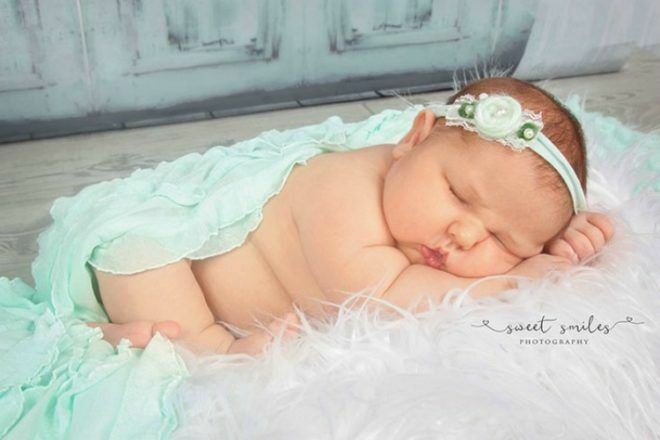 Come and see the oh-so-adorable photos of baby Carleigh that are bound to launch a thousands nawwws! 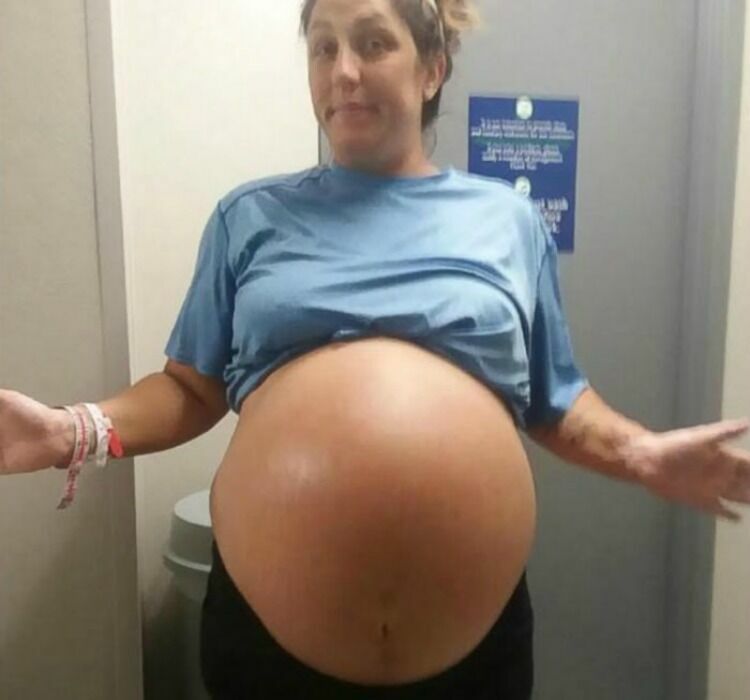 Despite already having three children, all of whom weighed between 4.5 to 5 kg at birth, nothing could prepare seasoned parents Larry and Chrissy Corbitt for their daughter’s surprising size. 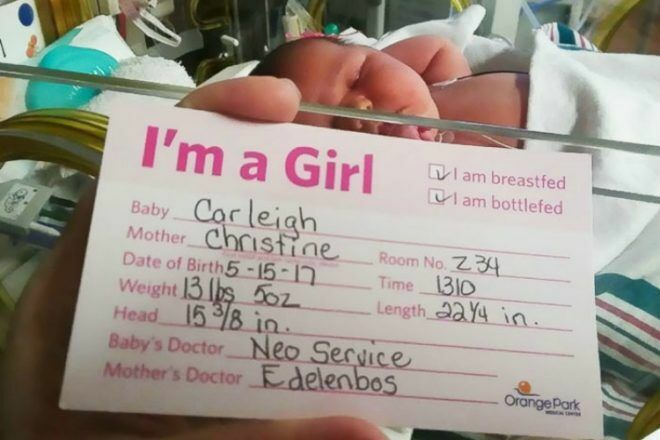 After a difficult pregnancy in which Chrissy required blood transfusions due to low iron levels, Carleigh was born healthy via c-section one week before her 21 May, 2017, due date. Now, three weeks later, Carleigh is settling into her Florida home with her parents and siblings. This big baby is already wearing size 3 nappies and clothing meant for a nine-month-old. And superstar Chrissy is recovering well! 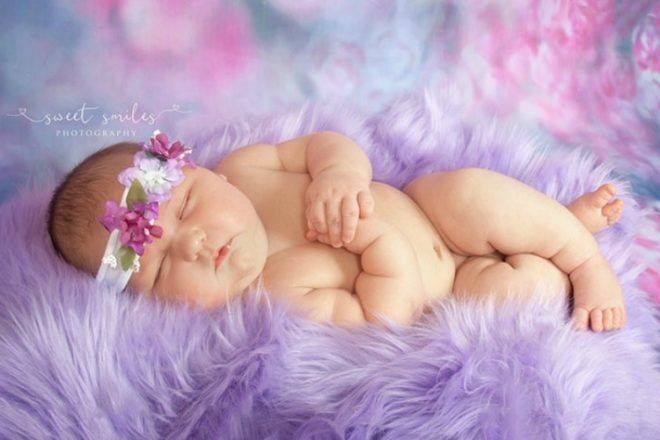 To celebrate Carleigh’s arrival, the Corbitts organised a newborn photo shoot for their baby girl. As impressive as little Carleigh’s birth weight is, she falls short of the world record for big babies. This title belongs to an Italian bub, born in 1955, weighing 10.2 kg. 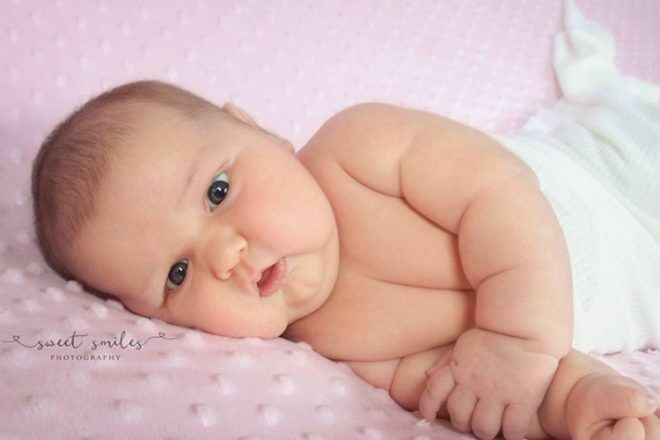 Even if she isn’t winning any records for her size, this darling chubba bubba is certainly winning hearts, especially the hearts of her parents. Congratulations to Chrissy and Larry on their picture perfect new addition. Check out this other big bubba who weighed an amazing 6.2 kilograms at birth (and who was delivered NATURALLY after just a two hour labour). Yes, we’re wincing just reading that too! Did you have a big baby? Let us know on Facebook how much your newborn weighed.